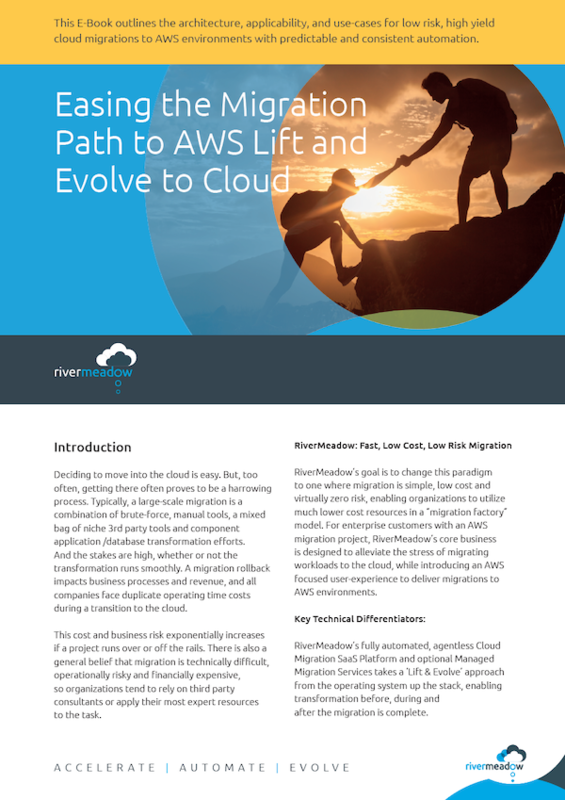 RiverMeadow's powerful Cloud Migration Platform provides high performance and secure workload migrations into AWS. 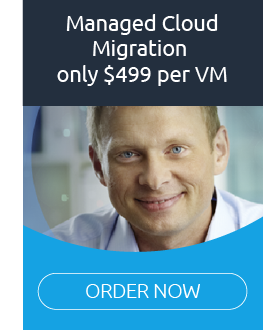 Our agentless AWS migration solution offers secure, efficient and automated x86 workload migrations into AWS VPC environments. 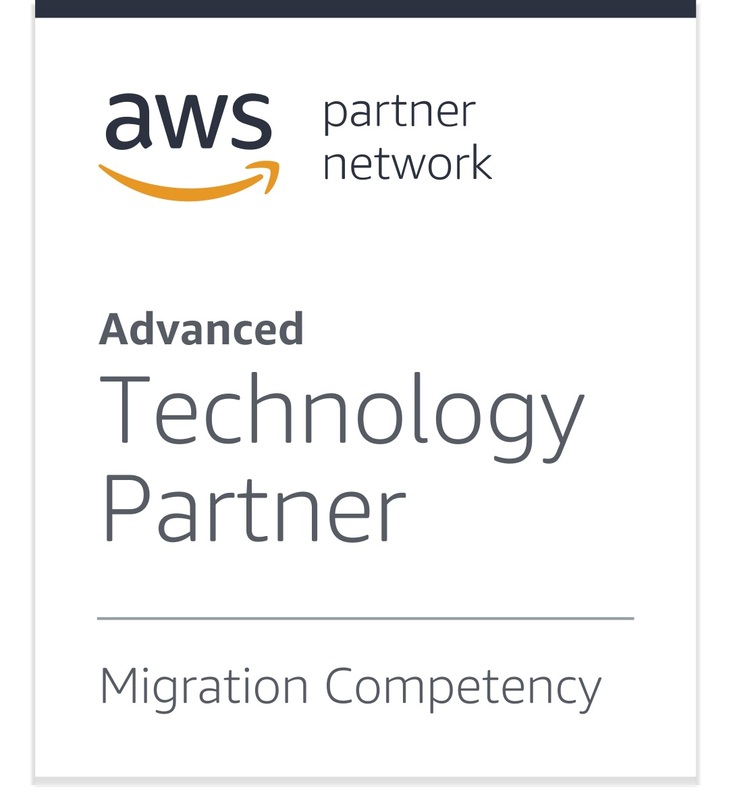 Customers can migrate workloads across VPN or AWS DirectConnect networks, typically deployed for enterprise migrations. 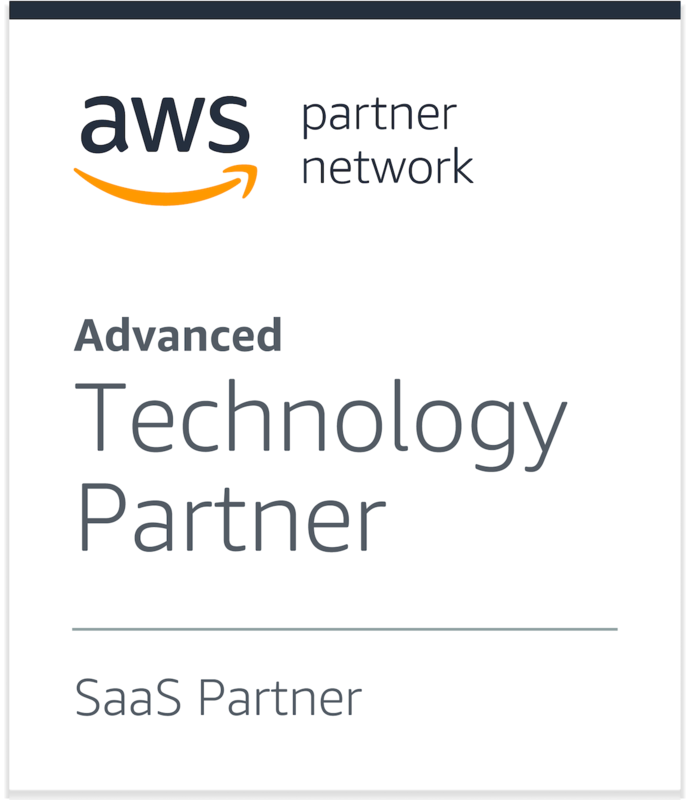 RiverMeadow leverages AWS APIs and native AWS security features to securely migrate workloads to AWS. Live AWS migrations are performed without impacting the source production environment. 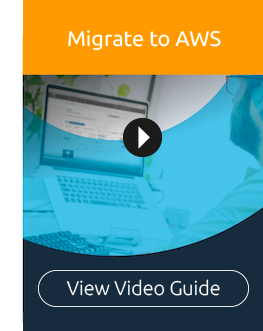 RiverMeadow delivers a native AWS cloud migration experience. 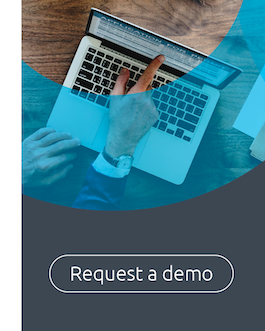 Customer-facing components include a feature rich intuitive and easy to navigate user interface, leveraging a combination of AWS AMIs, Cloud Formation templates, IAM/Cross Account Roles for a streamlined and secure integration experience between RiverMeadow and AWS. 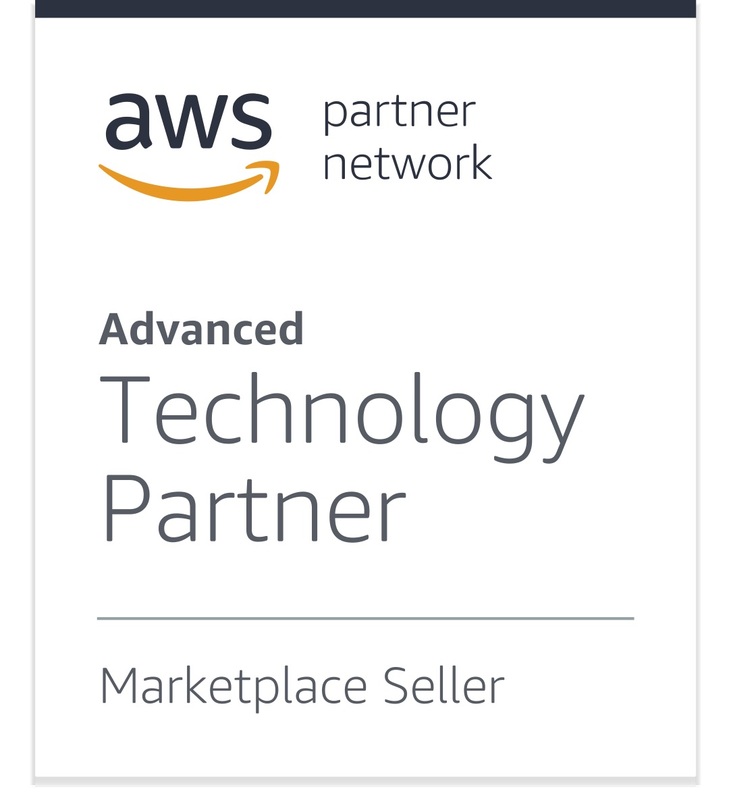 As a result, RiverMeadow applies the native automation and architecture benefits of AWS from the outset, providing the same levels of security and integrity AWS customers demand for enterprise scale VPC environments. The RiverMeadow architecture follows the AWS 'Well Architected' guidelines for SaaS platforms running on AWS. RiverMeadow SaaS runs globally across a mix of EC2, S3, SNS, SQS, and database technologies. 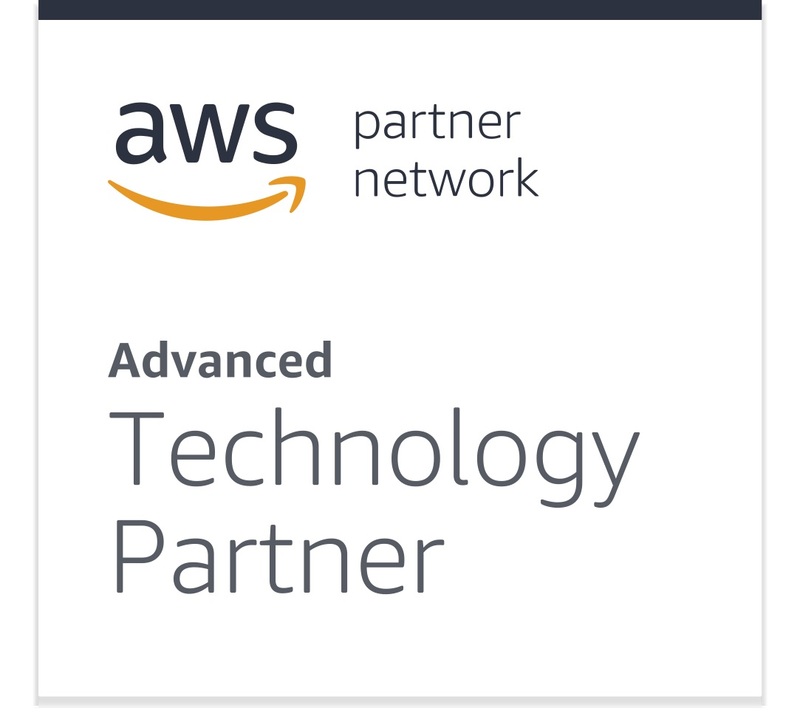 As an Amazon Partner Network (APN) member with multiple AWS competencies, RiverMeadow is able to deliver a platform-rich AWS migration experience to customers. We satisfy a wide mix of migration use-cases across enterprise, government, and systems integration environments.